Duquesa Coto Real " Simona "
To Enquire Now Click Here ! 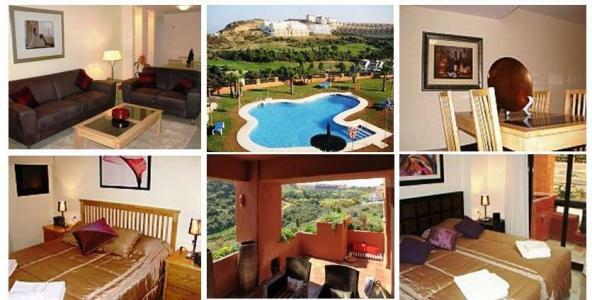 Luxury Two Bedroom Apartment, Near Duquesa, Great Views. This luxury two bedroom apartment has country views up towards the vineyards of Manilva and down the valley to the sea. It is positioned close to the large community pools, and the apartment also has external private terraces. This new apartment is beautifully furnished, and equipped with satellite TV, hot and cold air conditioning, fully equipped kitchen, and jacuzzi bath. The apartment is located in the new urbanization of Coto Real, which is near to the many bars and restaurants around Duquesa Marina.